Beat eggs in a medium bowl. Add remaining ingredients. 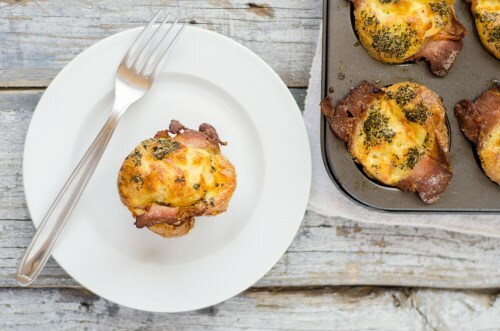 Grease a mini muffin tin. Fill cups with egg mixture until almost to the rim. Bake at 375 degrees for 10-15 minutes or until centers are set.